with Life's Abundance Dog Food and Premium Products. 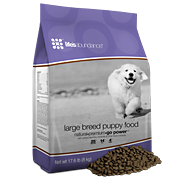 Large Breed Puppy Food - Specially formulated to encourage health, controlled growth rates in large breed puppies. 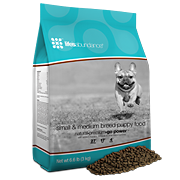 Small-Medium Breed Puppy Food - Formulated to support high energy levels and healthy development in small - medium breed size puppies. 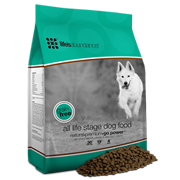 All Stage Formula - Grain Free - Our premium, grain-free food is formulated for all life stages. Packed with nourishing, high-quality ingredients, this delicious food is perfectly balanced with all of the proteins, omega-3s, vitamins, minerals and other important nutrients pet kids need to thrive … without the grains. 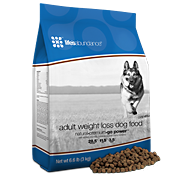 Formulated to supply puppies, adults and seniors of all breeds and sizes a healthy and satisfying diet. 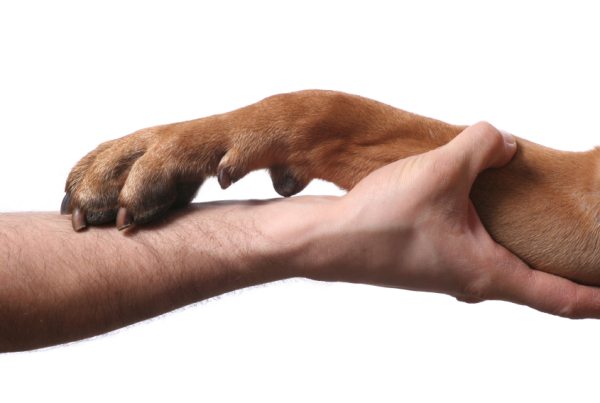 Keeping your dog satified with awesome nutrition while helping lose and or maintain weight. Created to provide companion animals with a nutritional advantage, Life's Abundance premium health food for Small/Medium Breed Puppies, Large Breed Puppies & the all life stage Formulas for Puppies, Adult Dogs and Seniors are made with select ingredients to help your dog achieve and maintain optimum health. Formulated by Dr. Jane Bicks, one of the nation’s leading holistic veterinarians, this superior food addresses the needs of the whole body. Every ingredient is carefully chosen based upon its positive effects on a dog’s physiology, to promote the long-term health of canines. Loved by both puppies and adult dogs of all breeds, these delicious recipes features an antioxidant system to support dogs throughout their life cycle. Also figuring prominently are omega fatty acids to promote healthy skin and a glossy coat, and complex carbohydrates from oat groats for sustained energy. Another highlight of this food is our proprietary blend of vitamins and minerals to supply dogs with the nutrients that help them to thrive, regardless of their age. These Life's Abundance recipes furnishes the body with optimal protein levels, to help puppies grow strong and adults to maintain muscle mass. Additionally, we have added a balanced blend of calcium and phosphorous to support both developing and aging bones. Our naturally-flavored kibble comes complete with dietary fiber to promote digestive health. And because we use only wholesome ingredients these formula contains no artificial colors or flavors, no corn or corn gluten and no wheat or wheat glutens. Life's Abundance dog food is nutritionally-dense, which means that you won’t have to feed your dog as much food as other brands. That can translate into savings you can count on, meal after meal, year after year. Not only that, but smaller meals and concentrated nutrition means less mess to clean up outside. When you try Life's Abundance, you'll know why people say it’s what pet food should be. 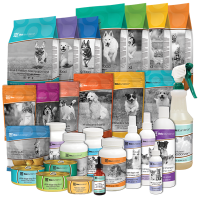 Life's Abundance premium health foods are veterinarian-formulated with select ingredients to help your dog achieve and maintain optimum health. We use a "fast-cook" process to help preserve the nutritional value of each and every wholesome ingredient. And we maintain strict inventory controls to ensure the quality and safety of our foods. With Life's Abundance, you can be confident that you’re feeding your dog advanced nutrition. Life's Abundance is committed to providing nourishing foods, treats, supplements and care products for companion animals. We’re proud to deliver a selection of premium products with the nutrients dogs need and the tastes they will crave. Life's Abundance premium health foods are formulated to meet the nutritional levels established by the Association of American Feed Control Officials (AAFCO) Dog Food Nutrient Profiles for all life stages. Please take a few minutes to watch the video below to learn some shocking truths about what may be in dog food. Life's Abundance is cooked quickly at low temperatures to help retain its high nutritional value. Life's Abundance is delivered to your door generally within six weeks of being made. 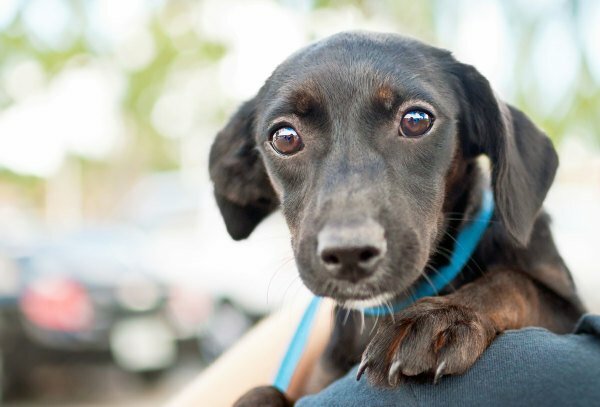 Some store-bought pet food could be anywhere from six months to one year old. 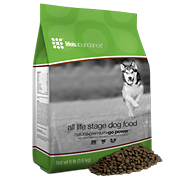 Life's Abundance dog food is formulated by a holistic vet using only healthy ingredients for superior canine nutrition.